Wintergreen Resort still would have lost its appeal of an $8.3 million judgment to an injured skier even if there hadn’t been a trial transcript filing error, the state Supreme Court ruled Thursday. Wintergreen Partners Inc. had accused the Richmond-based office of McGuireWoods of legal malpractice after the firm didn’t file the trial transcripts from the injury suit and the appeal was dismissed, according to the opinion. 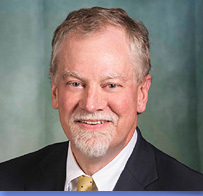 The state Supreme Court opinion, which was written by Justice S. Bernard Goodwyn, upheld the Richmond Circuit Court’s decision to grant McGuireWoods’ request for disposition of the suit without a trial. James W. Morris III, the Richmond-based attorney for McGuireWoods, said the firm is pleased with the Supreme Court’s decision. Morris said he believes this will be the end of the suit. Neither Wintergreen nor its attorney immediately returned a call seeking comment for this story. According to the opinion, Wintergreen would have had to prove that the judgment in Jessica Grigg’s case would have been reversed if McGuireWoods had filed the trial transcript on time. L. Steven Emmert, a Virginia Beach appellate lawyer who monitors the state high court’s decisions, said he has sympathy for the McGuireWoods lawyers who missed the appeal filing date. Emmert said the firm’s lawyers had checked the court file for the necessary documents but didn’t spot the missing trial transcript. However, Emmert said he believes it is almost impossible to win a legal malpractice suit against an appellate lawyer. It would be difficult to find witnesses and evidence to prove that a lawyer’s mistake would have reversed the trial court’s decision, Emmert said, and ruling on the appeal wouldn’t be any easier. Grigg was injured Jan. 20, 2003, after crashing into a snow groomer as she skied down the Eagles Swoop slope, according to the decision. Two Wintergreen employees, Brett Henyon and Jeffrey T. Eimutus, were moving the groomer up the slope at the time of the accident.